According to our inside intel, Nike Air Max Thea trainers are some of the most searched-for trainers on Google. 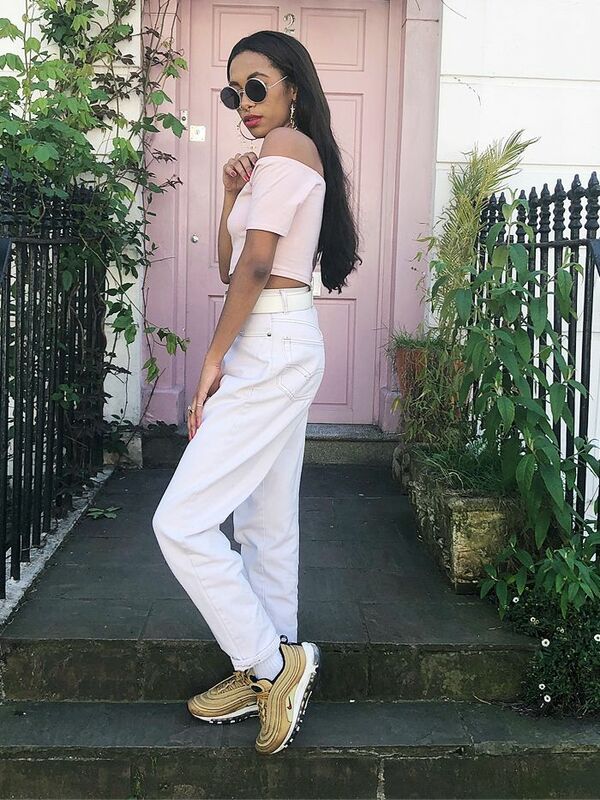 These are sneakers designed to be worn outside of the gym, and they've been spotted on our favourite bloggers such as Lucy Williams and celebs like Kendall Jenner and Olivia Palermo. They have (by proxy) become considered something of a modern classic. The shoes debuted in 2014 and are "quite a recent take on the absolutely iconic Air Max 1, which first came out in 1988," says trainer expert Neal Heard, author of the book Trainers. "You have to remember that the Air Max 1 was revolutionary: Inspired by Paris's Centre Pompidou, its inside-out construction made it the first shoe to visibly display the internal workings of the internal air-cushioning system," says Heard. The Thea style has a slimmer, daintier look, and the minimalistic black, white and grey styles have become part of a new signature Scandi look. New iterations are now available in a rainbow of colours, and the flyknit finish with the bubblegum-pink, metallic bronze and all-white iterations are on our long must-have list. Kendall Jenner owns the desert-sand version, while Olivia Palermo favours the classic black-and-white style. Which will you choose? Scroll below to shop our edit of seven of the best Nike Air Max Thea trainers. Classics, right? You can't go wrong with them.